The International French Language Institute now in Patiala. Chandigarh | Panchkula | Mohali | Patiala | Edinburgh | Aberdeen | Fremont. An International French Language School with Impeccable Standards and Expertise in French Language and Culture. Started from a single room in the year 2012, we now operate out of 3 Continents and have presence in multiple cities across the globe. The Co-Founder is an Ex- Alliance Francaise Senior Professor and DELF Examiner who is DALF C1 certified and has traveled across the globe for French Language and Culture Immersion. Unequivocal Leader in French Language Coaching in Punjab Region. 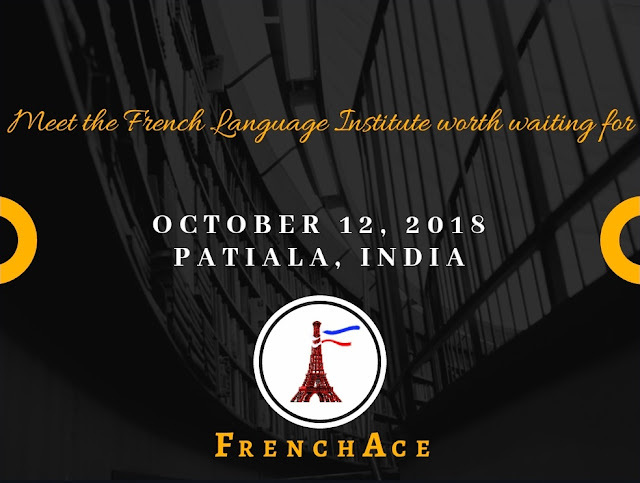 FrenchAce is now in Patiala - Best French Language Institute in Patiala.